Howdy! I needed to make a card for a Stampin' Up! customer, to simply say 'thank you'. 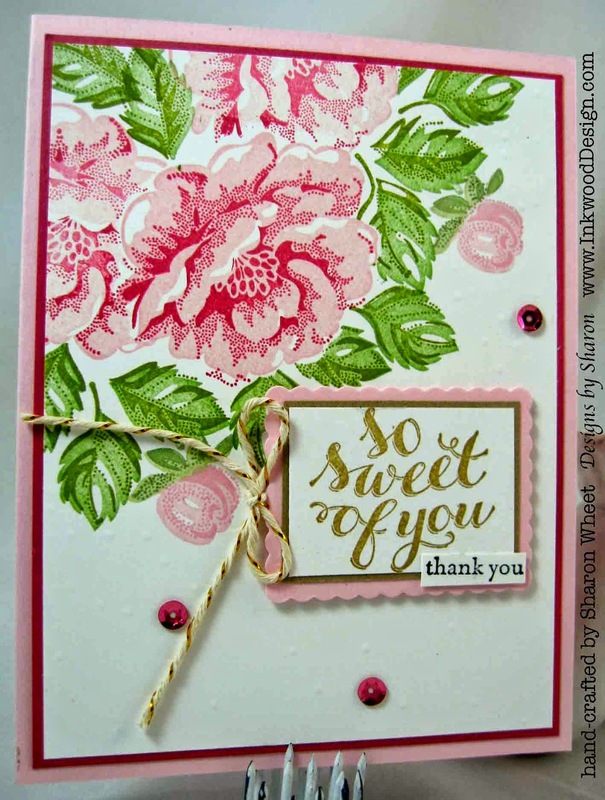 I wanted to use only Stampin' Up! supplies, so I went browsing the internet for some inspiration, and well . . .
these lovely ladies ask you to make a project using the triple layer technique, or floral, or both. 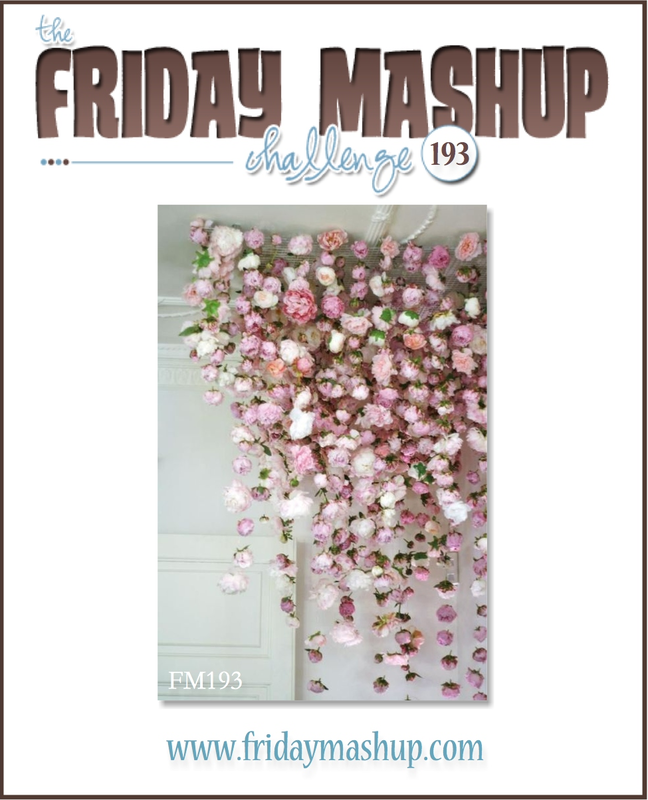 I really liked the cascading roses in the Friday Mashup inspiration photo. So, I decided to create cascading roses for my corner embellishment. I used the masking technique for the roses and leaves. Recipe: I used the pink pirouette card stock for the card base. I used whisper white card stock as the main panel, and matted it on strawberry card stock. I used the Stippled Blossoms stamp set to create the 2-step blossoms and leaves. To create the random dry embossed dots with the swiss dot embossing folder and a stylus. I added a trio of bright pink sequins to the card front to add some sparkle. For my sentiment rectangle, I stamped my sentiment from the Hello There stamp set, in baked brown sugar classic ink. I matted this piece onto a scrap piece of brushed gold card stock. I cut a scallop rectangle out of pink pirouette card stock and adhered it to the card front with foam tape. I stamped the 'thank you' in basic black classic ink onto whisper white card stock. Then cut it out with my scissors and adhered to the sentiment rectangle. I tied a simple bow with gold bakers twine, and added it the side of the sentiment rectangle. Sharon, your card is beYOUtiful! I love how you used the inspiration card to make your flowers cascade also. Thanks so much for sharing over at the Friday Mashup! Love your floral card, Sharon! It's just beautiful! I don't use this set often enough, that's for sure. Thanks for playing with us at the Friday Mashup this week. I found your blog just today because of the Friday Mashup and I now believe I'm going to have to follow you!! Your card is a lovely and a shaker to boot! Wonderful!